CAMPBELL, Calif. Close your eyes and picture the life of a retired NFL superstar. Maybe you envision a moveable feast private jets, exclusive parties and beautiful companions. Maybe you see something quieter, day after day in the backyard watching the grass grow. 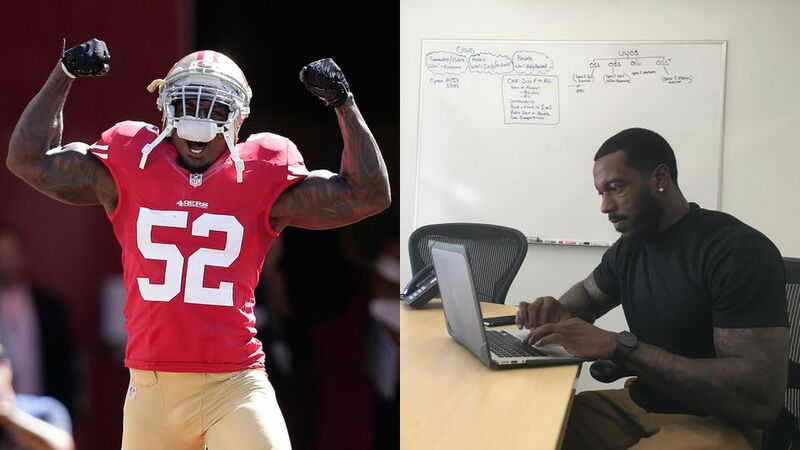 Patrick Willis’ life after retirement resembles neither. 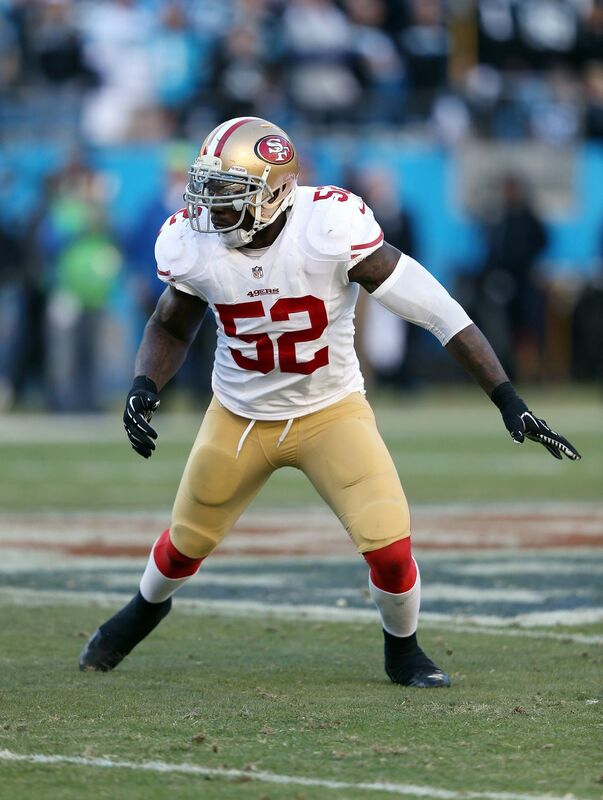 One of the greatest linebackers in modern NFL history,Willis made the Pro Bowl in seven of his eight professional seasons.Then he shocked the football world when he walked away from the game in March 2015 at age 30. 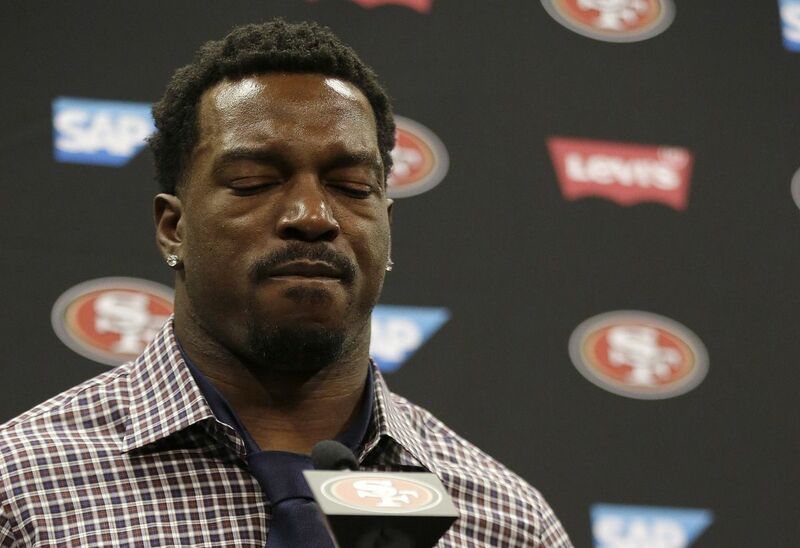 Now Willis’ life is well, probably not at all what most NFL fans would expect. Monday through Friday, Willis commutes to work at a Silicon Valley office park. He’s got a list of favorite lunch spots nearby.Sometimes he takes video calls from home, or instant messages with colleagues after hours. Willis picked cotton as a kid in Tennessee to help support his family. He and his siblings later moved in with a basketball coach to flee an abusive, alcoholic father. But sports he was a two-time collegiate All-American at Ole Miss before the NFL offered salvation. “People always told me when I was growing up that if you want to be something great, you have to be this physical specimen that can jump up to here and all that,” Willis told Mashablein an interview this week. But Willis’ remarkable story of empowerment and reinvention might not have happened this way at all. It begins with a chance encounter between Willis and a Silicon Valley entrepreneur whose journey has much in common with Willis’ own path to the NFL. This February, Athlon ranked Willis the 22nd-best linebacker in NFL history a plaudit that’s double impressive when you consider his career lasted half as long as those of some other players. Willi’s farewell press conference was an emotional affair. He was only 30 years old, but Willis’ rationale was simple. A career of injuries made him worry his elite days were behind him, and he didn’t want to sustain more longterm physical damage. Honestly, I pay attention to guys when theyre finished playing, walking around like theyve got no hips and they cant play with their kids. They can barely walk, Willis said in his farewell press conference. People see that and they feel sorry, but they dont realize its because he played a few extra years. For me, theres more to my life than football. It has provided an amazing platform for me to build on, but its my health first and everything else just kind of makes sense around it. What the world didn’t know then was the wheels had already been put in motion for Willis’ next step. Eren Niazi’s career arc is one of those classic Silicon Valley fables. He grew up in the area, but dropped out of high school and didn’t attend college. He did odd jobs like washing dishes to get by. He lived out of his car for a period as a teenager. “Apple’s Steve Jobs Would See Himself in Tech Pioneer Eren Niazi,” squawked a headline on TheStreet two years ago. Gradual grinding and bold ambition helped Niazi get a foothold in the tech industry. He began on the business side for Fry’s Electronics and Circuit City, then launched Open Source Storage in 2001 while still in his early 20s. He was later pushed out of his own creation, but then relaunched it in 2013. Niazi wasn’t being polite or nonchalant, though. He doesn’t follow sports and has never been to a 49ers game. As the two neighbors got to know one another more, Willis found himself impressed by Niazi’s rags-to-riches story and tech-industry success. Niazi, in turn, was impressed by the traits that made Willis an NFL star, as well as the player’s curiosity for life beyond football. He’s got the LinkedIn page and everything. Hearing Willis and Niazi discuss their working relationship after years of watching Willis deliver bone-crushing NFL hits is surreal. 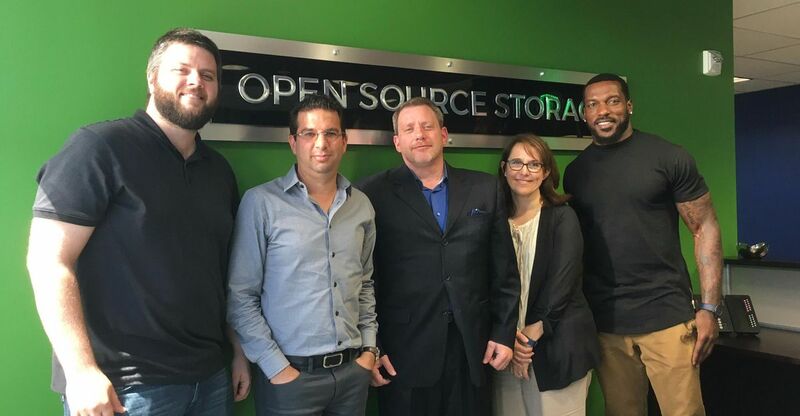 Unlike the many apps and games that have made technology a popular phenomenon, Open Source Storage is a behind-the-scenes player. Basically, the company provides storage and infrastructure solutions to other companies. (Niazi’s original iteration of the company worked with Shutterfly, Friendster and Facebook, among others.) It currently has about 60 employees, some full-time and some on contract. When Carrie Pendolino, the company’s current vice president for marketing, applied for an opening last December, both Willis and Niazi interviewed her. “Then I came home and my husband and son were like, Uh, do you know who that was?! ?Pendolino recalled recently. It’s a situation others can likely relate to; Willis is involved in interviewing most of the company’s prospective hires. Hey there buddy, workin’ hard or hardly workin’? He still works out, and he fishes sometimes, too. 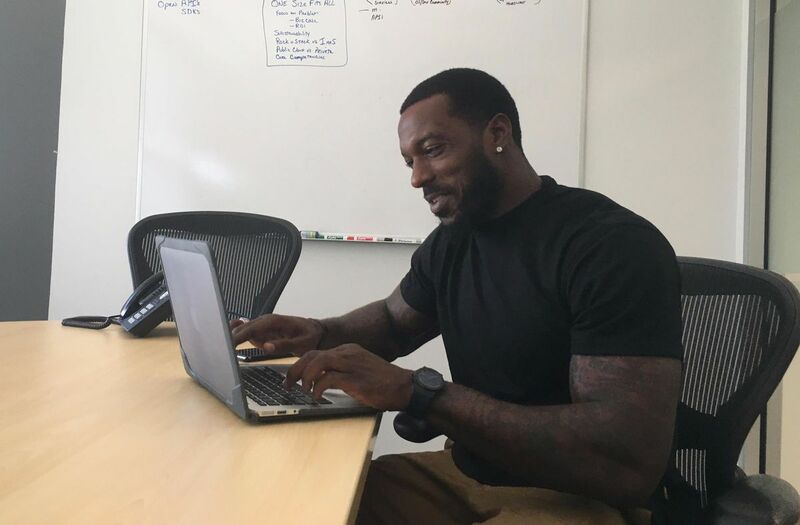 But that’s Willis’ life these days: A full-on Silicon Valley tech worker. He watched some NFL highlights this past season his first away from the sport and caught bits and pieces of random games here and there. But he really hasn’t followed football much since retiring last year. Does your city rank among the nation’s fittest?